To Cite: Nasseh N, Nasseh I, Khodadadi M, Beirami A, Kamranifar M. The Removal of Lead from Aqueous Solution Using Almond Green Hull (Prunus amygdalus-Fascionello) Waste Material Magnetized with Fe3O4, Ann Mil Health Sci Res. 2017 ; 15(3):e66336. doi: 10.5812/amh.66336. Background: Nowadays, with extensive industrialization, pollution of heavy metals in the environment has increased significantly, which is considered a serious environmental risk for toxicity, carcinogenicity, and biological accumulation. Meanwhile, lead is one of the most important systemic toxic heavy metals, which attacks most organs of the body after adsorption. The aim of this research was to evaluate the efficiency of green almond hull (Prunus amygdalus- Fascionello) magnetized with Fe3O4 to remove lead from aqueous solution. Methods: In this study, the structural characteristic of green almond hull magnetized with Fe3O4 was investigated using a scanning electron microscope (SEM) and vibrating sample magnetometer (VSM) techniques. Also, the effect of different parameters, including pH (2 to 10), mixing speed (0 to 250 rpm), adsorbent dose (1 to 7 g/L), initial concentration (10 to 100 mg/L), and contact time (5 to 200 minutes) was examined to study lead adsorption process by the desired adsorbent. Finally, the experimental data obtained from the equilibrium tests were analyzed using Freundlich and Langmuir isotherms models. Results: The results of this study showed that the maximum removal efficiency was obtained at pH 9 and adsorbent dose of 5 g/L. The removal efficiency was reduced by increasing the initial concentration of lead, and increasing contact time and mixing speed. The maximum lead adsorption at optimal conditions was 91.34%. The results also showed that the resulting data often followed the Langmuir isotherm. Conclusions: According to the results, it could be concluded that green almond hull (Prunus amygdalus-Fascionello) magnetized with Fe3O4 could be used as an affordable and proper adsorbent in removal of lead from aqueous solutions. Heavy metals, such as lead, cadmium, mercury, etc. are discharged from various industries, including ceramics, papermaking, lead melting, plating, mining, and battery industries, to the environment. The water pollution as a result of these heavy metal ions is highly dangerous for humans; because it can transfer to the human body through the food chain, and as a result, leads to cancer, central nervous system damage, lung damage, brain damage, and finally, death (1). Lead is one of the most important heavy metals and is a systemic toxin, which attacks most organs of the body after adsorption. This element has a great combined desire for the sulfhydryl group and the activity of the enzymes belonging to this group is stopped or reduced, due to its effect. This element works in the body’s biological system instead of calcium, so that approximately 90% is accumulated in the human skeleton (2). Lead toxicity, caused by multiple toxicity and progressive aggregation can lead to extreme damage to the central nervous system, kidneys, liver, reproductive system, and result in nausea, coma, seizure, cancer, and unpleasant effects on metabolism and intelligence (3, 4). According to the United States environmental protection agency (USEPA) standards, the maximum contaminant level (MCL) of lead in drinking water is 0.006 mg/L (5). The Institute of Standards and Industrial Research of Iran declared maximum contaminant level of 0.005 mg/L of lead in packaged drinking water and 0.1 mg/L in network drinking water (6). Different methods have been used for removal of heavy metals from wastewater, including ion exchange, chemical sedimentation, reverse osmosis, evaporation, membrane filtration, and adsorption (7, 8). The majority of these methods have defects, such as high cost of capital and residual metal sludge disposal operation, and are not appropriate for small industries (8, 9). Meanwhile, biosorption is a process by which certain types of passive or dead biomass can remove heavy metals from aqueous solutions. This process could be regarded as an alternative technology for the removal of toxic heavy metals from wastewater and industrial wastes (10). In the recent years, researchers have also paid attention to the use of agricultural wastes as an affordable adsorbent in removal of environmental pollutants, and many studies have been conducted in this regard. An adsorbent can be considered affordable when it is abundant in nature, and requires only a small amount of correction, or byproducts and industrial waste (11). Agricultural waste is abundant, available, and is one of the many sources of low-cost adsorbents. Moreover, agricultural waste has low economic value, the incorrect disposal of which could lead to serious problems. Two major objectives could be achieved using agricultural waste. Environmental incentives are among these objectives; using unwanted and excessive agriculture waste, in addition to a useful adsorbent, the inappropriate disposal of which is prevented. Another objective is economics; the agricultural waste leads to large amounts of savings in preparation costs of the adsorbents (12). In this regard, low-cost agricultural, waste such as banana peel (13), cocoa pod husk (14), hazelnut shell (15), groundnut shell (10), rice husk (16, 17), coconut shell (18), potato peel (7), etc. were examined by various researchers for removal of heavy metals from wastewater. Meanwhile, almond trees are numerous around the world, and especially in Iran, and South Khorasan. Almond hull is an agricultural residue that cannot be used by animals and is usually burned. The annual production of almond with hard shell in Iran is about 108,000 tons. Almond green hull is estimated to be about 0.25% to 0.6% wt of total almond fruits, depending upon their various types. Therefore, about 36,000 to 160,000 tons of this waste material is generated in Iran and can be used to treat contaminated wastewater (19). Another important aspect of adsorbents is their separation. Magnetic adsorbents have been increasingly used for simple magnetic separation and accumulation by magnet in various researches (20). Similar studies have been done in this regard. Malakotian et al. in 2014 used Fe3O4 nano-particles modified with orange peel to remove lead and copper heavy metals from aqueous solutions (21). Also, in another study by Yang et al., magnetic biochar derived from peanut hull was used to removal of Cr (VI). In this study, to improve the functional quality of adsorbents and the cost effectiveness, Fe3O4 nanoparticles, due to their high surface-to-volume ratio, easy construction, easy recycling and no secondary contamination, were used. Also, green almond hull was used to improve efficiency in removal of lead (21). Generally, the aim of this study was to evaluate the efficiency of green almond hull (Prunus amygdalus-Fascionello) magnetized with Fe3O4 in the removal of lead from aqueous solution. In this study, green almond hull (Prunus amygdalus-Fascionello) was prepared from areas around the South Khorasan province (Mahirood). The other chemicals, including ferric chloride, ferrous sulfate, ammonium hydroxide, chloride acid, and sodium were used with laboratory degree of purity from Merck Corporation. The pH meters (pH meter, 765 caliamatic, Germany), shakers (IK, KS 260, Germany), and incubator shakers (Incubator shaker, Infors Aerotron, Swiss) were also used. It should be noted that to measure the lead concentration in solutions, the atomic adsorption apparatus (1700 F, Fuli) was used in the wavelength of 283.3 nm. First, the green almond hull was prepared, and after being rinsed with distilled water, it was dried at ambient temperature in order to eliminate probable impurities, such as dust. Afterwards, for synthesis of Fe3O4 nanoparticles modified with green almond hull, an amount of 6.1 g of ferric chloride and 4.2 g of ferrous sulfate were dissolved in 100 mL of distilled water, and the solvent temperature was increased to 90°C. Then, 10 mL of ammonium hydroxide (26%) and 1 g of green almond hull that was already dissolved in 200 mL of distilled water was added to the main solution. Then, the pH of the solution was adjusted to around 10, and the solution was stirred at temperature of 80°C for 30 minutes. Then, the black sediment of the Fe3O4 nanoparticles was modified with green almond hull and was filtered and dried (22). Finally, the scanning electron microscope (SEM) and Vibrating Sample Magnetometer (VSM) analyses were used in order to determine the structural characteristics of the prepared nanoparticles. First, a lead stock solution (1000 mg/L) was prepared using lead nitrate and distilled water. The other solutions were prepared by diluting the stock solution with distilled water. In this study, the adsorption process was performed in a discontinuous model, in which the parameters of pH (2 to 10), mixing speed (0 to 250 rpm), adsorbent dose (1 to 7 g/L), initial concentration (10 to 100 mg/L), and contact time (5 to 200 minutes) were examined. In order to adjust the pH, the 1 and 0.1 N HCl and NaOH solutions were used. In this step, after the contact time, the Fe3O4 nanoparticles, modified with green almond hull using the magnet, were applied. In order to ensure the complete removal of adsorbent from solutions, the samples were filtered by 0.42 μm Watman filter. Then, the residual lead concentration in the solution was read by the atomic adsorption spectrophotometer, and finally, the removal efficiency of lead and adsorption capacity of adsorbent were calculated using equations 1 and 2, respectively. Where R is removal efficiency of lead (%), C0 is the initial concentration of lead (mg/L), and Ct is the concentration of metal ions at any time (mg/L). Where qe is the adsorbent capacity (mg/g), C0 is the initial concentration of lead (mg/L), Ce is equilibrium concentration of lead (mg/L), V is the solution volume (L), and W is the adsorbent amount (g) (23). Where qe is the equilibrium adsorption capacity (mg/g), Ce is the equilibrium concentration of lead ion (mg/L), qm is the maximum adsorbed lead ion (mg/g), and b is Langmuir’s isotherm constant. The Freundlich model predicts that the concentration of lead ions on the adsorbent is increased with increased concentration of ion in the liquid solution. The Freundlich isotherm is in Equation 4. Where qe is the equilibrium adsorption capacity (mg/g), Ce is equilibrium concentration (mg/L), adsorption capacity at equilibrium (mg/g), n and (mg/g) Kf is the Freundlich equation constant (23). Scanning electron microscopy (SEM) was used to determine the structural properties of green almond hull magnetized with Fe3O4 adsorbent. These images showed that the adsorbent surface is relatively porous. Figure 1 shows the SEM image of a green almond hull magnetized with Fe3O4. Magnetic properties of green almond hull magnetized with Fe3O4 were investigated by vibrating sample magnetometer (VSM) analysis. 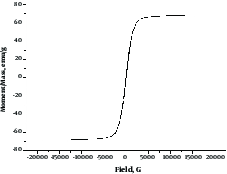 Figure 2 shows the VSM curve of a green almond hull magnetized with Fe3O4 with an amount of saturation magnetization equal to 71.26 emu/g. In order to examine the effect of pH on removal of lead by the green almond hull magnetized with Fe3O4, the lead solution was adjusted with concentration of 10 mg/L at various pH of 2 to 10. Then, 2 g/L of adsorbent was added and placed on the shaker for 80 minutes. The results of this step are shown in Figure 3. As shown in this figure, the removal efficiency of lead was enhanced with an increase in pH. According to Figure 3, by increasing pH from 2 to 10, the removal efficiency of lead increased from 14.39% to 83.21%. Figure 4 shows the effect of mixing speed on the removal efficiency of lead by the green almond hull magnetized with Fe3O4. In this step, the solutions with a lead concentration of 10 mg/L with a pH of 9 were prepared. Then, an amount of 0.2 g/L was added, and it was placed at different speeds of 0 to 300 for 80 minutes. As shown in this figure, up to 150 rpm, the removal efficiency was increased and then reached a constant value. At this speed (150 rpm), the removal efficiency was 81.34%. Results of effect of adsorbent dose on removal of lead by the green almond hull magnetized with Fe3O4 are shown in Figure 5. In order to study the effect of adsorbent dose on removal of lead, the lead solution with concentration of 10 mg/L with a pH of 9 was prepared, and then, different amounts of adsorbent doses (1 to 7 g/L) were added. Then, it was placed on the shaker at speed of 150 rpm for 80 minutes. As seen in this figure, the removal efficiency was enhanced by increasing adsorbent dose. In order to examine the effect of initial concentration on removal efficiency of lead, the concentrations of 10 to 100 mg/L, with pH = 9 were measured by 5 g/L of green almond hull magnetized with Fe3O4 with a contact time of 80 minutes. Figure 6 shows the results of this step. As shown in this figure, by increasing the lead concentration, the removal efficiency was reduced from 94.31% to 35.42%. As shown in Figure 7, the removal efficiency was increased up to 80 minutes, and reached a constant value, and then, the removal efficiency was increased at a slow rate. The removal efficiency was 94.31 at 80 minutes. The results of the data matching from lead adsorption in the desired adsorbent (green almond hull magnetized with Fe3O4) by Langmuir and Freundlich equations are shown in Table 1. As shown in this table, with regards to the correlation coefficients (R2), both models were able to describe the data, yet the Langmuir model showed a better correlation with adsorption data of lead. Based on the results obtained in this study, the bioadsorbent of green almond hull (Prunus amygdalus-Fascionello) magnetized with Fe3O4 had good efficiency regarding removal of lead as one of the most hazardous heavy metals in water resources. The pH of the solution plays a major role in the adsorption process, because it affects both the specie and degree of ionization of lead, and the effects of surface load and functional groups of adsorbent (24). According to the results of this research, the removal efficiency of lead was enhanced by increasing pH (Figure 3). At pH below 6.7, the low removal efficiency of lead by adsorbent could be due to the competition of hydrogen and lead ions in the adsorption, where these ions (H+) are a winner, and as a result, in this range of pH, the removal of lead by green almond hull magnetized with Fe3O4 is reduced (25). The lead ion at pH above 6.7 is deposited as Pb(OH)2. Although this range (pH = 7, 8, 9, 10) is investigated for removal of lead, no adsorption on green almond hull adsorbent magnetized with Fe3O4 is assigned to this range. However, at pH below 6.7, the removal of lead ion (II) by green almond hull magnetized with Fe3O4 is possible (26). In this regard, similar results were obtained by Momcilovic et al. performed on removal of lead by pine cone activated carbon (26). In the study carried out by Guo et al. on the effect of pH on removal of lead by biomass-derived activated carbon with humic acid in-situ modification, a pH range of 3 to 10 was examined. The results of this study showed that increase in pH increased the removal efficiency (27). In Figure 4, it is clearly indicated that by increasing the mixing speed, the removal efficiency is increased as long as a certain amount is achieved, and then, it does not have any benefits. Increasing the removal efficiency of lead by green almond hull magnetized with Fe3O4 could be due to the increased turbidity, and as a result, the reduced thickness in resistance to transfer of pollutants around adsorbent. At a high mixing speed, the reduced efficiency might be caused by inappropriate contact between metal ions and adsorbent binding sites (28). As shown in Figure 5, with an increase in adsorbent dose, the removal efficiency of lead has been increased. The adsorption is increased since by increasing the amount of adsorbent, the number of active adsorption sites on the adsorbent, available to the lead ions, is increased (29). The results of studies on removal of lead by pine cone activated carbon, which was performed by Acharya, approved the results of this step (30). According to the resulting curve (Figure 6), it is clear that by increasing the initial concentration, the lead removal rate is reduced. At lower concentrations of lead, the removal efficiency is higher, which is due to the large-scale access and adsorbent active sites for adsorption of lead. Once the initial concentration of lead is increased, the removal efficiency will be reduced, because the existing active sites for adsorption are reduced by increasing the initial concentration of lead (31). According to Gupta et al. similar results were reported in this area, in such a way that by increasing the concentration of lead from 10 to 100 mg/L, the removal efficiency of lead was reduced from 80% to 47% by chitosan-g-poly(acrylamide)/Cu nanocomposite (32). According to Figure 7, based on the results, by increasing the contact time between the adsorbent (green almond hull magnetized with Fe3O4) and lead ion, in the early minutes, the removal rate was rapidly increased, and this is probably due to the large number of active adsorption sites at the adsorbent surface. As time passes, the available adsorption sites for lead are reduced and gradually filled. The competition is also increased to occupy active sites by lead ions. Therefore, the lead adsorption rate is reduced, and after a while, it becomes stable (33). In the study carried out by Albishri et al. on the removal of lead, it was found that by increasing the contact time to 60 minutes, the removal efficiency of lead is increased, and then, reaches a state of equilibrium (34). The adsorption isotherm is also one of the important factors in design of adsorption systems. In fact, the adsorption isotherm describes the interactions between adsorbent and adsorbate. As shown in Table 1, it could be concluded that both isotherm models were able to describe the data, but the Langmuir model was the most suitable model to adsorb the lead by green almond hull magnetized with Fe3O4. A better matching of lead adsorption data using Langmuir model showed the homogeneous distribution of adsorption sites at active adsorbent surfaces. The RL value is between 0 and 1 in the Langmuir model, which shows that the lead adsorption process was favorable (35). By examining both Langmuir and Freundlich models on lead adsorption data, Wang et al. found that the Langmuir model is more appropriate to describe the experimental data (36). The results of this study showed that the removal of lead by green almond hull (Prunus amygdalus- Fascionello) magnetized with Fe3O4 is higher at pH = 9. The removal efficiency is enhanced by increasing contact time, adsorption dose, and mixing speed. The maximum removal rate of lead at optimal conditions was 91.34%. The results also showed that the resulting data would prefer to follow the Langmuir isotherm. Therefore, this adsorbent can be considered as an affordable and efficient adsorbent in removal of lead from aqueous solutions. 1. Karthik R, Meenakshi S. Removal of Pb(II) and Cd(II) ions from aqueous solution using polyaniline grafted chitosan. Chem Engin J. 2015;263:168-77. doi: 10.1016/j.cej.2014.11.015. 2. Yarke SN, Ghaemi N, Nouhi A. Optimizing conditions of lead removal by saccharomyces cerevisiae in laboratory condition. J Qazvin Univ Med Sci. 2011;15:13-21. 3. Hu R, Wang X, Dai S, Shao D, Hayat T, Alsaedi A. Application of graphitic carbon nitride for the removal of Pb(II) and aniline from aqueous solutions. Chem Engin J. 2015;260:469-77. doi: 10.1016/j.cej.2014.09.013. 4. Wang Y, Li L, Luo C, Wang X, Duan H. Removal of Pb(2+) from water environment using a novel magnetic chitosan/graphene oxide imprinted Pb(2+). Int J Biol Macromol. 2016;86:505-11. doi: 10.1016/j.ijbiomac.2016.01.035. [PubMed: 26826288]. 5. Barakat MA. New trends in removing heavy metals from industrial wastewater. Arab J Chem. 2011;4(4):361-77. doi: 10.1016/j.arabjc.2010.07.019. 6. Divband L, Behzad M, Divband S. Investigation of Nano Particles Efficiency Prepared from Cedar Fly Ash (Zizyphus Spinachristi) for Lead (Pb+ 2) Removal from Aqueous Solution. Iran J Health Environ. 2012;5(2). 7. Taha G, Arifien A, El-Nahas S. Removal Efficiency of Potato Peels as a New Biosorbent Material for Uptake of Pb(Ii) Cd(Ii) and Zn(Ii) from Their Aqueous Solutions. J Solid Waste Technol Manag. 2011;37(2):128-40. doi: 10.5276/jswtm.2011.128. 8. Kobya M, Demirbas E, Senturk E, Ince M. Adsorption of heavy metal ions from aqueous solutions by activated carbon prepared from apricot stone. Bioresour Technol. 2005;96(13):1518-21. doi: 10.1016/j.biortech.2004.12.005. [PubMed: 15939281]. 9. Demirbas E, Kobya M, Senturk E, Ozkan T. Adsorption kinetics for the removal of chromium (VI) from aqueous solutions on the activated carbons prepared from agricultural wastes. Water Sa. 2004;30(4):533-9. 10. Babarinde A, Onyiaocha GO. Equilibrium sorption of divalent metal ions onto groundnut (Arachis hypogaea) shell: kinetics, isotherm and thermodynamics. Chem Int. 2016;2(3):37-46. 11. Surchi KMS. Agricultural Wastes as Low Cost Adsorbents for Pb Removal: Kinetics, Equilibrium and Thermodynamics. Int J Chem. 2011;3(3). doi: 10.5539/ijc.v3n3p103. 12. Ali RM, Hamad H. A , Hussein M , Malash G. F . Potential of using green adsorbent of heavy metal removal from aqueous solutions: Adsorption kinetics, isotherm, thermodynamic, mechanism and economic analysis. Ecol Eng. 2016;91:317-32. 13. Li Y, Liu J, Yuan Q, Tang H, Yu F, Lv X. A green adsorbent derived from banana peel for highly effective removal of heavy metal ions from water. RSC Adv. 2016;6(51):45041-8. doi: 10.1039/c6ra07460j. 14. Njoku VO. Biosorption potential of cocoa pod husk for the removal of Zn(II) from aqueous phase. J Environ Chem Engin. 2014;2(2):881-7. doi: 10.1016/j.jece.2014.03.003. 15. Pehlivan E, Altun T. Biosorption of chromium(VI) ion from aqueous solutions using walnut, hazelnut and almond shell. J Hazard Mater. 2008;155(1-2):378-84. doi: 10.1016/j.jhazmat.2007.11.071. [PubMed: 18179865]. 16. Chuah TG, Jumasiah A, Azni I, Katayon S, Thomas Choong SY. Rice husk as a potentially low-cost biosorbent for heavy metal and dye removal: an overview. Desalination. 2005;175(3):305-16. doi: 10.1016/j.desal.2004.10.014. 17. Hegazi HA. Removal of heavy metals from wastewater using agricultural and industrial wastes as adsorbents. HBRC J. 2013;9(3):276-82. doi: 10.1016/j.hbrcj.2013.08.004. 18. Pino GH, de Mesquita LMS, Torem ML, Pinto GAS. Biosorption of Heavy Metals by Powder of Green Coconut Shell. Separat Sci Technol. 2006;41(14):3141-53. doi: 10.1080/01496390600851640. 19. Nasseh N, Taghavi L, Barikbin B, Khodadadi M. Advantage of almond green hull over its resultant ash for chromium(VI) removal from aqueous solutions. Int J Environ Sci Technol. 2017;14(2):251-62. doi: 10.1007/s13762-016-1210-1. 20. Afkhami A, Norooz-Asl R. Removal, preconcentration and determination of Mo(VI) from water and wastewater samples using maghemite nanoparticles. Colloids Surfaces Physicochem Engin Aspects. 2009;346(1-3):52-7. doi: 10.1016/j.colsurfa.2009.05.024. 21. Malakootian M, Khazaei A, Loloei M. Investigation of Fe3O4 nanoparticles modified with orange peel efficiency in removal of lead and copper ions from aqueous environments. Tolooebehdasht. 2014;13:1-11. 22. Gupta VK, Nayak A. Cadmium removal and recovery from aqueous solutions by novel adsorbents prepared from orange peel and Fe2O3 nanoparticles. Chem Engin J. 2012;180:81-90. doi: 10.1016/j.cej.2011.11.006. 23. Heidari A, Younesi H, Mehraban Z. Removal of Ni(II), Cd(II), and Pb(II) from a ternary aqueous solution by amino functionalized mesoporous and nano mesoporous silica. Chem Engin J. 2009;153(1-3):70-9. doi: 10.1016/j.cej.2009.06.016. 24. Du Y, Wang J, Zou Y, Yao W, Hou J, Xia L, et al. Synthesis of molybdenum disulfide/reduced graphene oxide composites for effective removal of Pb(II) from aqueous solutions. Sci Bull. 2017;62(13):913-22. doi: 10.1016/j.scib.2017.05.025. 25. Zhou T, Xia F, Deng Y, Zhao Y. Removal of Pb(II) from aqueous solutions using waste textiles/poly(acrylic acid) composite synthesized by radical polymerization technique. J Environ Sci. 2017. doi: 10.1016/j.jes.2017.04.010. 26. Momcilovic M, Purenovic M, Bojic A, Zarubica A, Randelovic M. Removal of lead(II) ions from aqueous solutions by adsorption onto pine cone activated carbon. Desalination. 2011;276(1-3):53-9. doi: 10.1016/j.desal.2011.03.013. 27. Guo Z, Zhang J, Kang Y, Liu H. Rapid and efficient removal of Pb(II) from aqueous solutions using biomass-derived activated carbon with humic acid in-situ modification. Ecotoxicol Environ Saf. 2017;145:442-8. doi: 10.1016/j.ecoenv.2017.07.061. [PubMed: 28778043]. 28. AjayKumar AV, Darwish NA, Hilal N. Study of various parameters in the biosorption of heavy metals on activated sludge. World Appl Sci J. 2009;5(5). 29. Anwar J, Shafique U, Waheed uz Z, Salman M, Dar A, Anwar S. Removal of Pb(II) and Cd(II) from water by adsorption on peels of banana. Bioresour Technol. 2010;101(6):1752-5. doi: 10.1016/j.biortech.2009.10.021. [PubMed: 19906528]. 30. Acharya J, Sahu JN, Mohanty CR, Meikap BC. Removal of lead(II) from wastewater by activated carbon developed from Tamarind wood by zinc chloride activation. Chem Engin J. 2009;149(1-3):249-62. doi: 10.1016/j.cej.2008.10.029. 31. Verma M, Tyagi I, Chandra R, Gupta VK. Adsorptive removal of Pb (II) ions from aqueous solution using CuO nanoparticles synthesized by sputtering method. J Mol Liquids. 2017;225:936-44. doi: 10.1016/j.molliq.2016.04.045. 32. Gupta VK, Gupta D, Agarwal S, Kothiyal NC, Asif M, Sood S, et al. Fabrication of chitosan-g-poly(acrylamide)/Cu nanocomposite for the removal of Pb(II) from aqueous solutions. J Mol Liquids. 2016;224:1319-25. doi: 10.1016/j.molliq.2016.10.118. 33. Liu J, Mwamulima T, Wang Y, Fang Y, Song S, Peng C. Removal of Pb(II) and Cr(VI) from aqueous solutions using the fly ash-based adsorbent material-supported zero-valent iron. J Mol Liquids. 2017;243:205-11. doi: 10.1016/j.molliq.2017.08.004. 34. Albishri HM, Marwani HM, Batterjee MG, Soliman EM. Eriochrome Blue Black modified activated carbon as solid phase extractor for removal of Pb(II) ions from water samples. Arab J Chem. 2017;10:S1955-62. doi: 10.1016/j.arabjc.2013.07.023. 35. Gunay A, Arslankaya E, Tosun I. Lead removal from aqueous solution by natural and pretreated clinoptilolite: adsorption equilibrium and kinetics. J Hazard Mater. 2007;146(1-2):362-71. doi: 10.1016/j.jhazmat.2006.12.034. [PubMed: 17261347]. 36. Wang N, Jin RN, Omer AM, Ouyang XK. Adsorption of Pb(II) from fish sauce using carboxylated cellulose nanocrystal: Isotherm, kinetics, and thermodynamic studies. Int J Biol Macromol. 2017;102:232-40. doi: 10.1016/j.ijbiomac.2017.03.150. [PubMed: 28396272].